2015; ‘Benjamin Duterrau: the art of conciliation’, Journal of War and Culture Studies, vol 8, no 2. 2013; Indigenous Engagement with Science: towards deeper understandings, (ed. ), Department of Innovation, Industry, Climate Change, Science, Research and Tertiary Education, Canberra. 2012; ‘The Silence was Everywhere’, Australian Book Review, No 343. 2011; ‘The Devil We Know’, in Robinson’s Cup, Quilliam, D (ed. ), Queen Victoria Museum and Art Gallery, Launceston. 2008; ‘Two Thousand Generations of Place-making’, in Making Sense of Place, Valclay, F., (ed.) National Museum of Australia, Canberra. 2008; ‘A Snake and a Seal’, in Heartsick for Country, Morgan, S., Tjalaminu, M., Kwaymullina, B., (eds. ), Fremantle Press, North Fremantle. 2007; ‘Make Places for the Young’, in Gee, H., (ed.) River of Verse, Black Water Press, Buckland, Tas. 2006; ‘Being Here: authenticity and presence in Tasmanian Aboriginal art’ in Reynolds, A., J., (ed.) Keeping Culture: Aboriginal Tasmania, National Museum of Australia, Canberra. 2005; ‘Tyerelore Culture’, in Alexander, A ., (ed), The Companion to Tasmanian History. Centre for Tasmanian Historical Studies, Hobart. 2005; ‘Matriarchs of Survival’, in Alexander, A., (ed), The Companion to Tasmanian History. Centre for Tasmanian Historical Studies, Hobart. 2005; ‘The Palawa Voice: exploring identity through research, history and land’, in Alexander, A., (ed), The Companion to Tasmanian History. Centre for Tasmanian Historical Studies, Hobart. 2004; ‘The Trouble with Paradise’, in Imaging Nature: Environment, Media and Tourism, an interdisciplinary conference, Lester, E., Ellis, C. (eds), 27 – 29 June, 2004, Cradle Mountain, University of Tasmania. 2004; ‘Authentic and Essential’, Australian Humanities Review, 33. 2003; ‘Reconciling Ruin’, Historic Environment, vol 17, no 1. 2003; ‘As A Small Boy’, in Murray, K., (ed.) Haven: The Art and Craft of Refuge in Tasmania, Salamanca Arts Centre, Hobart. 2003; ‘Telling Us True’, in Manne, R., (ed.) Whitewash: on Keith Windschuttle’s Fabrication of Aboriginal History, Black Inc Agenda, Melbourne. 2001; ‘Turning Back the Clock: fire, biodiversity and indigenous community development in Tasmania’, in Working on Country: indigenous environmental management in Australia, Baker, R., Davies, J., Young, E., (eds), Oxford University Press, South Melbourne. 2001; Understanding Our Places, (multimedia). Tasmanian Aboriginal Land Council, Hobart. 2001; ‘Tense Pasts: narratives of gaps and silences’, Artlink, Vol 21, no 2. 2000; ‘Patriot Games’, Island, 84. 2000; ‘Tarner, a Source of Palawa Spirituality’, in The Oxford Companion to Aboriginal Art and Culture, Oxford University Press, South Melbourne. 2000; ‘Trukanini: an identity transformed’, in The Oxford Companion to Aboriginal Art and Culture, Oxford University Press, South Melbourne. 2000; ‘Turning Back the Clock: fire, biodiversity and indigenous community development in Tasmania’, in Links between Cultures and Biodiversity (ed. Xu Jianchu), Proceedings of the Cultures and Biodiversity Congress 2000, 20-30 July 2000, Yunnan, P. R. China, Yunnan Science and Technology Press, Kunming. 2000; ‘Lola Greeno and Lenna Newson’, in Beyond the Pale, 2000 Adelaide Biennial of Australian Art, Art Gallery of New South Wales, Adelaide. 1999; ‘A Desire for Uncertainty’, Island , 79. 1998; ‘With Fire the Country is Cleaned Up’, in Terra Spiritus …with a darker shade of pale, Queen Victoria Museum and Art Gallery, Launceston. 1998; ‘Containment Dreaming’, Siglo, 10. 1997; ‘First Voice’, Siglo, 7. 1997; ‘Life’s Quiet Companion’, in Carey, G., (ed), The Penguin Book of Death, Penguin, Ringwood. 1996: ‘Life’s Quiet Companion’ (incl. poetry), Island, 69. 1996; Aboriginal Management in the Tasmanian Wilderness World Heritage Area, Parks and Wildlife Service, Hobart. 1995; Aboriginal Interpretation of the Tasmanian Wilderness World Heritage Area: A Strategy for Interpreting the Culture and Heritage of Tasmanian Aborigines, Tasmanian Aboriginal Land Council, Hobart. 1995, Back to Cape Barren, Tasmanian Aboriginal Centre, Hobart. 1995; Tantima, Our Rocky Cape, Tasmanian Aboriginal Centre, Hobart. 1995; Patalinya, Our Oyster Cove, Tasmanian Aboriginal Centre, Hobart. 1994; ‘Being Black’, in The Illustrated History of Humankind, Vol 5, Burenhult G., (ed), American Museum of Natural History, Harper, San Francisco. 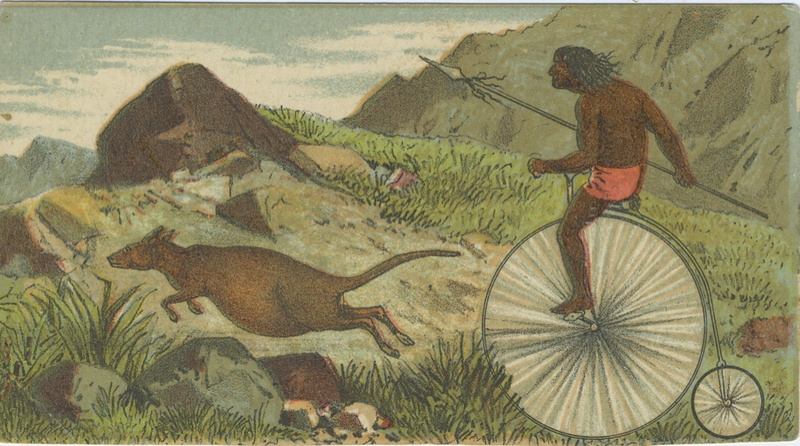 1994; ‘The Palawa of Tasmania’, in The Illustrated History of Humankind, Vol 5, Burenhult G., (ed), American Museum of Natural History, Harper, San Francisco. 1993; Our Land, Our Sites, (mutimedia),Tasmanian Aboriginal Land Council, Hobart. 1993; A Place in Our Heritage: the role and scope of the Australian Heritage Commission’s National Estate Grants Program: Tasmanian Aboriginal Priorities and Perspectives, Tasmanian Office of the National Estate, Hobart. 1992; Report and Recommendations – King River Archaeological Study. Tasmanian Aboriginal Land Council Aboriginal Corporation, Hobart. 1990; Report on Issues Underlying Aboriginal Over-representation in the Criminal Justice System, Royal Commission into Aboriginal Deaths in Custody, Canberra. I would like to contact Julie Gough and can’t find her email anywhere. When I click on her name in your list I go to something called “Blackapplehost” which is a web hosting site. Not anything about Julie.